This is a no-brainer card you want to get before it disappears because the 50,000 US Airways miles can be added to the 106,000 American Airlines miles you can get from two other cards. When the US Airways card disappears, existing cardholders will be converted to an American Airlines card issued by Barclaycard. I just got this email from Barclaycard about the transition. That says my US Airways card will be converted to an American Airlines card between April 1 and July 15. That fits in with the time frame of the end of the US Airways program. 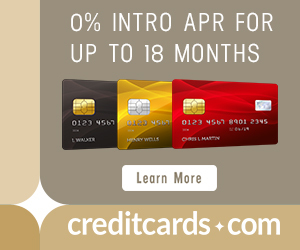 But there is some speculation that the US Airways card will disappear to new applicants today (March 12.) The speculation is based on those referral emails Barclaycard has sent out. My referral email is below, and it said that I would earn miles for referring friends to the US Airways card by January 18. Some people’s referral email says that they will earn miles for referring people until March 12–today! Was that date–March 12–chosen because that’s the last day the card will be available to new applicants? I don’t think so. I think the card will be available until some time next month (at least) because I know of no reason why Barclaycard would have to stop issuing new US Airways cards until the US Airways Dividend Miles program is ended. That would mean the US Airways card is open to new applicants for at least three more weeks and maybe three more months. But if you’ve been planning to get the card and putting it off, maybe you should get the US Airways card today to get it over with. 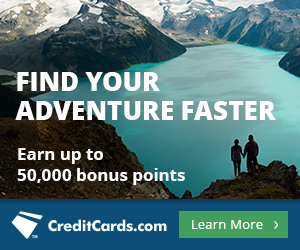 If you get the card, get it through a referral link of a fellow reader on this page, so you both earn big miles. Next articleUS Airways Program to End in April. April 17? Is it still working to get a second usairways card if you already have one? I procrastinated it because I was buying a new car (done now) but would like to get a second if it’s still possible. I just referred someone yesterday and the website says the person can feet the bonus as long as they apply by April 17th. I’d bet that’s the last day to apply. Although the email starts January 18th as a deadline, if you click on the “start sharing” button, the new deadline date will appear at the bottom of the new page. Example- mine says January 18th, but when you click on the “Start sharing” it says the deadline is April 17th. I called US Airways to confirm and had a helpful rep who said the card was not expiring today. Hope this helps. Love the site and just booked a NZ and Australia trip thanks to all my new miles 🙂 Thanks! Not today for sure, in fact, I just got an email from Barclay today to apply by April 12 to get the 50k bonus. Do you think the citi 50,000 offer will also end once the merge is official? So- I just was dealing with this and spoke to a US airway rep. When you receive your email to refer friends, it may say a specific date in the email, but if you click “start sharing” button in the email, the next pop up will give an actual “apply by this date”. So although my email says 1/18… I just sent out some referrals that needed to be completed by 4/17! Hope this helps. I also had a deadline of January 18 for my referral link. However, just for fun I clicked on it today, and when I did it takes me to the referral engine, and that page says I can receive the bonus if friends apply by April 17. 2015. You might want to try the same.